Our Port de Sóller boutique hotel facilities are perfect for relaxing as well as for business meetings. 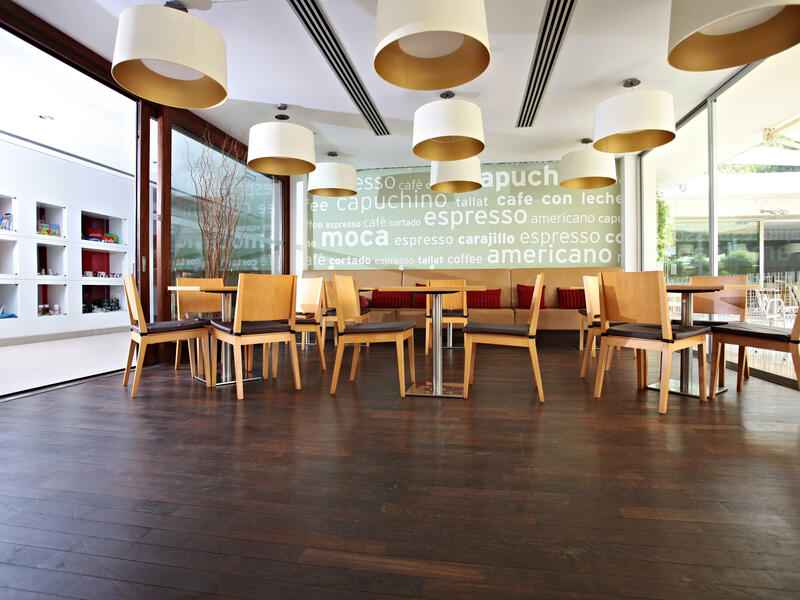 Along with the Airecel restaurant, we have a bar available for coffee breaks, lunches and dinners. At the Aimia Hotel you can dive into our pool, or into a good book in our reading area. You can also relax in our spa with its Jacuzzi and sauna, or exercise in our fitness room. Our staff is at your service so you do not have to worry about anything during your holidays at our small hotel in Majorca: at the Front Desk we will help you choose the most interesting activities, and the room service is available at any time. 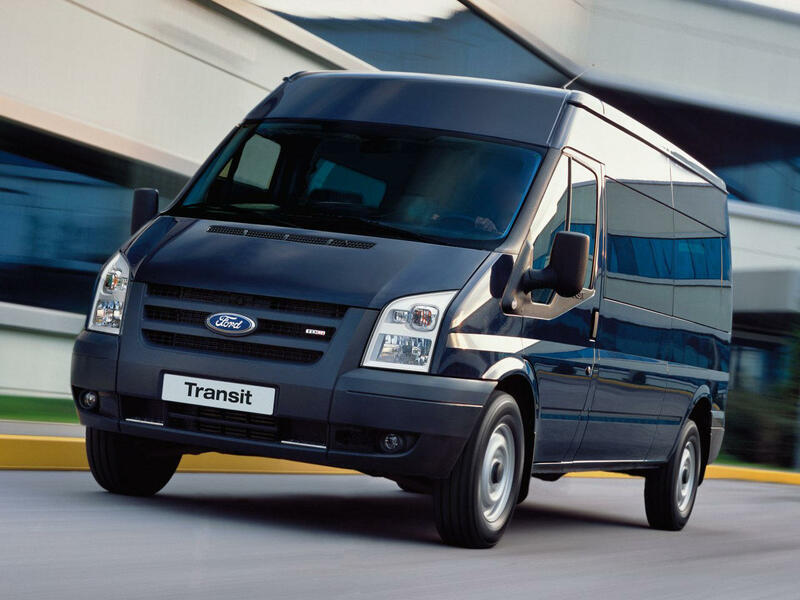 The Aimia Hotel offers you the possibility to book directly with us your airport transfer from or to Palma Airport at a convenient rate and through a trusted partner of our hotel. Please note that this service should be booked at least 2 days in advance by contacting directly or front desk team. 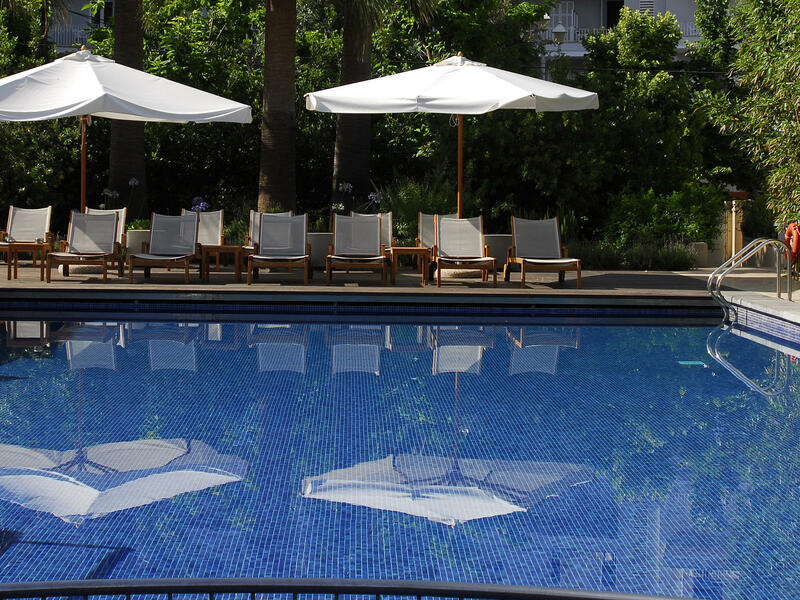 You will find a calm place to enjoy the sun and fresh air nearby the swimming pool. This oasis is surrounded with plants and trees to detach from the street noise and relax swimming or reading. It is our guests’ favorite place to chill out before or after their daily activities. We are available 24h to satisfy your wishes anytime. 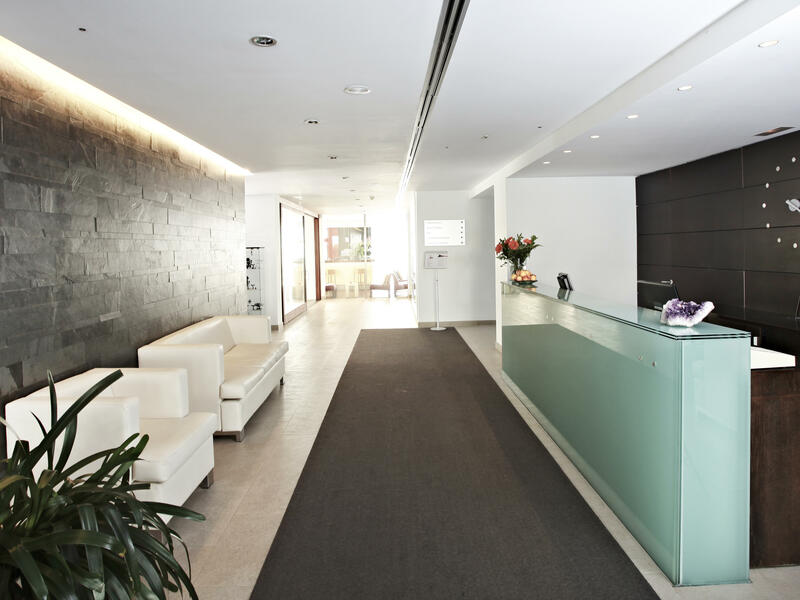 Our staff will help you feel at home at the Aimia Hotel, and feel like an expert when you decide to spend a day out. We know the island secrets to point you out the best places. 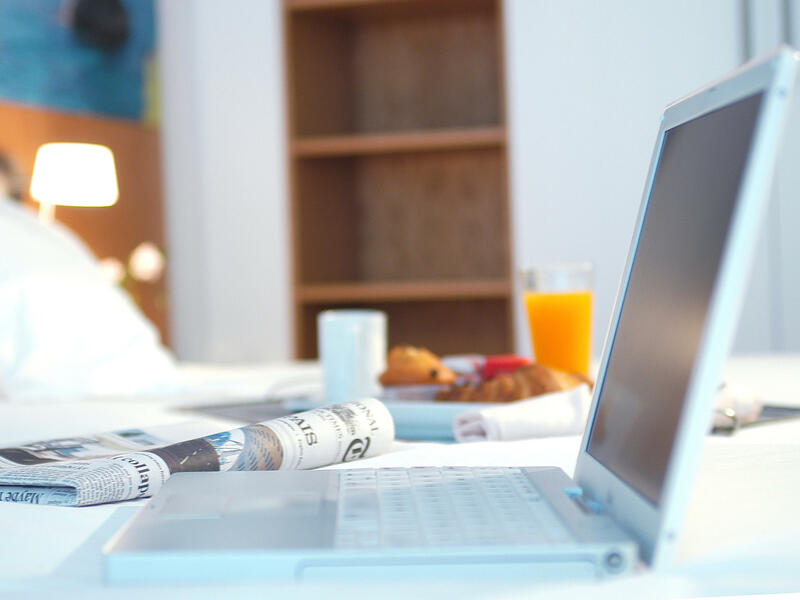 Although we prefer for our guests to take a break, we understand that sometimes the internet access is desirable and even necessary for business meetings. 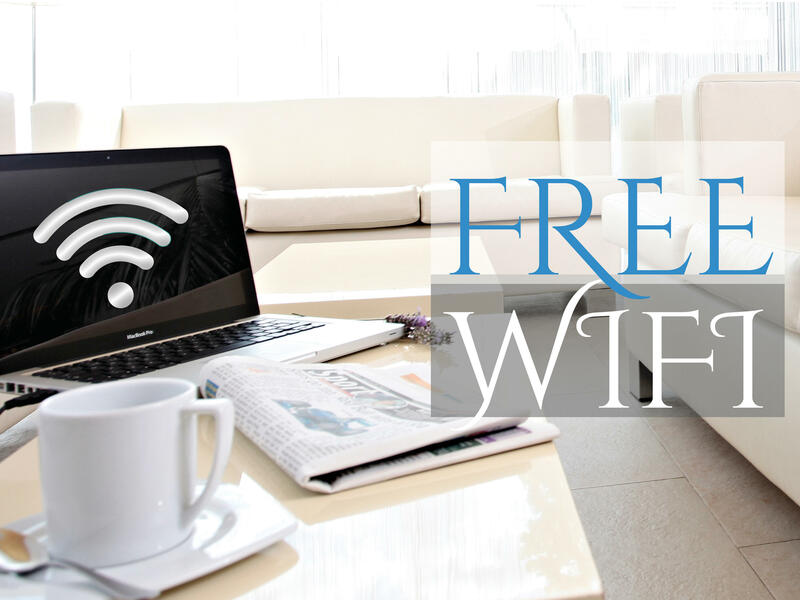 That is why at the Aimia Hotel you will enjoy a free wi-fi connection all over the building so you can surf the internet from the swimming pool or your room. Our bar is a comfortable and warm space where you can experience its two atmospheres: snack bar during the day and cocktail bar with music at night. Either chatting with your partners while having a tasty snack, or following the rhythm of music with a cocktail, you will farewell the day on a chilled mood. If you do not feel like leaving the room, call our room service. A simple breakfast, a light lunch to discover the best Majorcan gastronomy, a fresh salad for dinner… our menu has plenty of choices so you can choose the option you like the most for enjoying comfortably in your room.